In 2012 I rewrote Twinmaker: Jump from Q’s completely different perspective, giving me new insights into her character in the process. That manuscript, “Making and Remaking Iteration 113”, ran to a little under 70,000 words, one third shorter than the original novel. 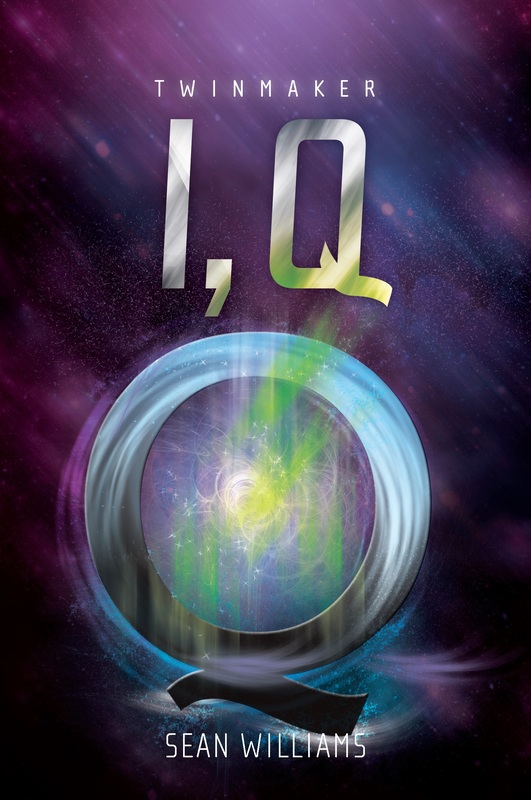 “I, Q”, in turn, is a radically slimmed-down version of that unpublished ms, covering the major events of the novel in a highly fragment form–as though it’s been put through a d-mat machine and broken down to its component bits, then reassembled into a new, very different thing. Cutting sixty-odd thousand words isn’t easy. A few fun scenes fell by the wayside. Here are five to give you an idea of what that “lost” version of Twinmaker was like, plus an extra glimpse or two into the mind of Q. 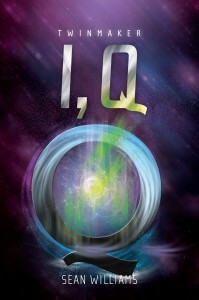 “I, Q” is available from many places, but here’s a start. I cast my gaze out across the spacious, modern campus, seeking an explanation for Clair’s unusual behavior. I noticed a couple of eye-in-the-sky drones drifting lazily overhead. Numerous people were watching through the UFO-like drone’s eyes, democratically guiding it with the rounded-out sum of their wishes, but that wasn’t in and of itself unusual. OneEarth peacekeepers regularly used crowd-sourcing in their surveillance of public spaces. The one whose senses I was using, however, featured a line of inquiry from VIA, which was unusual. VIA was normally only interested in WHOLE and other anti-d-mat activists. The arrival of an electrobike through the campus gates caused a growing stir. A long, insect-like machine with saddles for two passengers, it carried only one, a man as lean as his machine, dressed in scruffy work clothes, who didn’t appear to have shaved for several days. His features were recorded in the Air, along with everyone else’s. Within an instant, I knew his name and his history, and I was beginning to realize just how careless I had once again been. First, Clair’s best friend “Libby” turned out to be “Liberty Zeist”, my sister’s ward. Now Jesse Linwood’s father was Dylan Linwood, WHOLE activist and anti-d-mat campaigner. No wonder VIA was interested! The bike’s efficient electric engines had barely spun down when a small crowd gathered to stare it. They ignored its rider, who hurried off into the cloisters outside the chancellor’s office. That was true. Dylan Linwood was more famous for making forms of transportation old and new, such as electrobikes, segways and landsurfers, than he was for his work with WHOLE. While he fought the good fight against the future, he also waged a cultural war against the trappings of instantaneous travel. He had no chance of convincing the world that retro-travel was cool, but as long as some of his customers did he hoped to keep the old ways alive a little longer. Jesse was taller than him, but had his father’s cheekbones. Had I been more observant I might have guessed at the genetic connection. But names, still, were confusing to me. I hadn’t thought that one Linwood would necessarily be connected to another. There were several thousand living on the Earth, after all. But what was this one doing at his son’s college, now? And why was Clair so concerned?